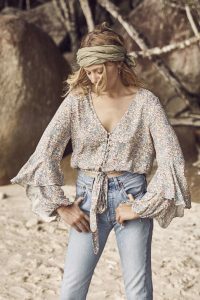 Auguste the Label is the ultimate in wearable bohemian fashion. Auguste’s signature aesthetic is “the love-child of soft, dreamy separates and feminine and floaty silhouettes”. A unique mix of boho dresses, kimonos, rompers/playsuits, printed basics, soft skimming skirts and delicate separates, Auguste embraces a feel good vibe! Embodying vintage influences with a modern day boho take, Auguste the Label’s designs are fun, fearless and fantastic!